Renault's Estafette van is as characteristically French as the baguette and the beret. No picture of France in the sixties or seventies is complete without it. 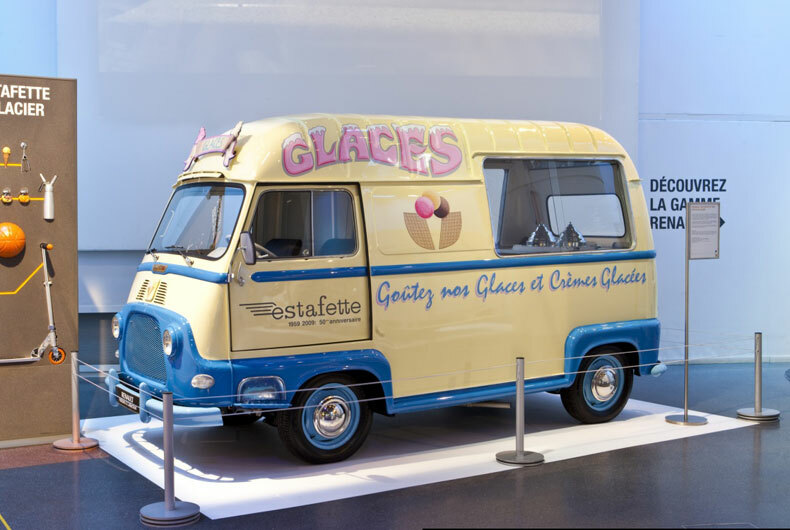 One of its many functions was as a police van, and French people of a certain age will still refer to the Estafette as a humorous synonym for the Gendarmerie. 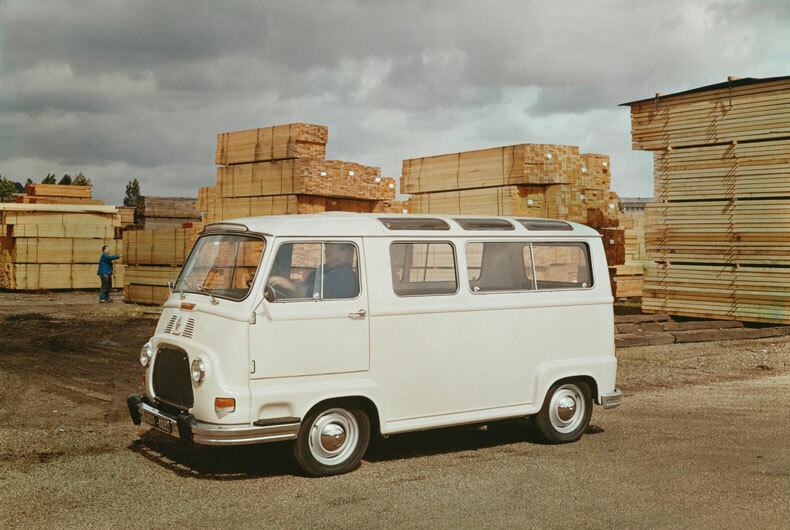 The Estafette was released in 1959, and would stand as the flagship of the Renault commercial vehicle range for some twenty years. Its lifespan coincided neatly with the post-war economic boom, and it shares the chirpy “swinging sixties” image of the period. This was the preferred transport and delivery solution for tradespeople and merchants, who considered the Renault Juvaquatre too small and the Galion or Goélette lorry too heavyweight for their needs. 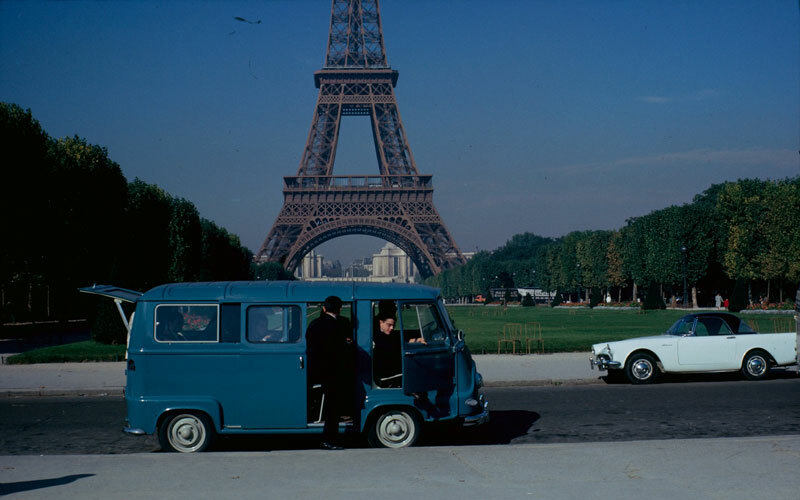 Renault launched its van project in 1953, working from the platform of the future Dauphine. The Estafette would be based on the small rear-wheel-drive Renault that would appear in 1955, and share a maximum number of vehicle subsystems with it. 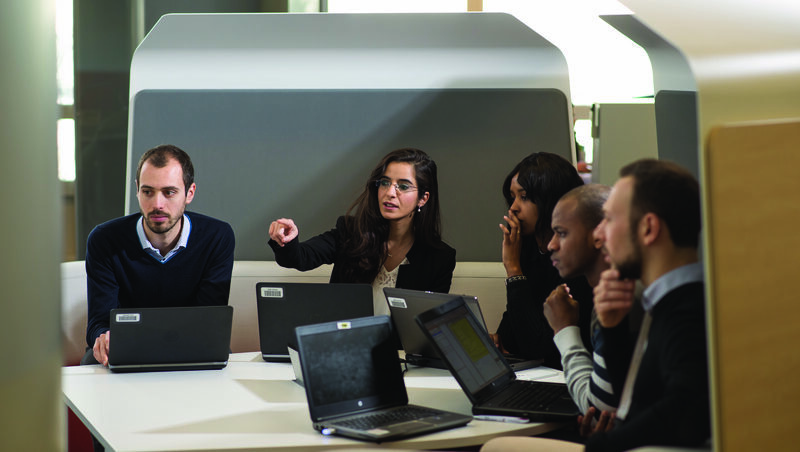 Guy Grosset-Grange, the engineer in charge of the project, decided that the most rational solution would involve a front-mounted engine for the new van. This was quite a revolutionary step for Renault at the time. The idea was to keep the rear of the vehicle as uncluttered as possible, making for the lowest possible loading height, an important criterion for customers of the time. 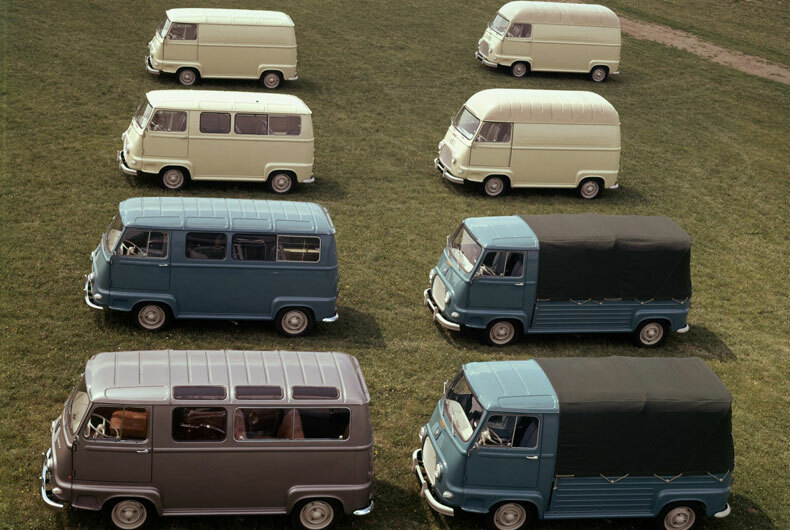 The van went on the market in 1959, in five versions: a 600 kg van, a high van, a tarpaulin-covered pick-up, a nine-seater microbus, and a lightweight “Zone Bleue” van that could park in town (French legislation of the time prohibited in-town parking for commercial vehicles with payloads above 500 kg). Design-wise, the Estafette's rather chunky looks gave it an undeniably friendly feel that brings back many a childhood memory for French people born before 1980 or so. With its inimitable outline and cheerful colours (blue, orange, yellow), it became an indissociable part of French urban and rural scenery of the time. 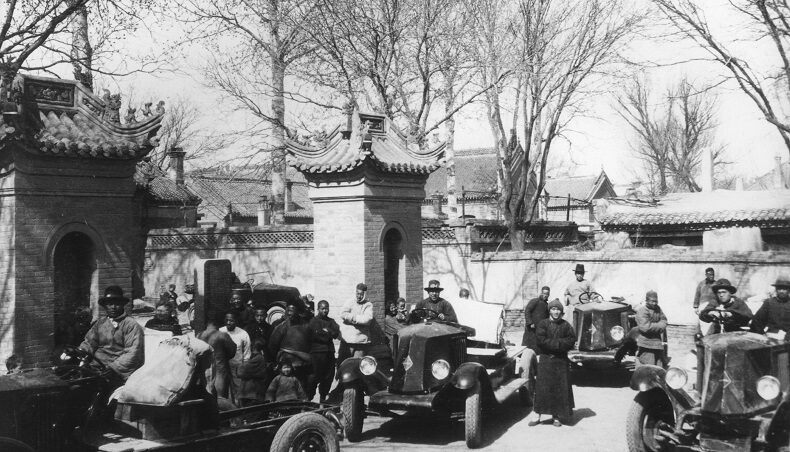 Estafettes in advertising livery appeared on the roads as if heralding a new-found economic prosperity. 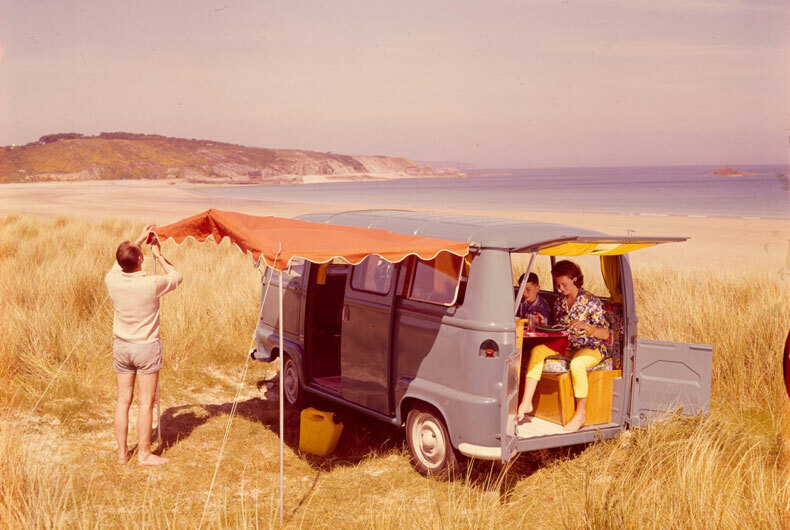 And for many a holiday-maker, Renault's iconic van made an ideal camper-van solution. 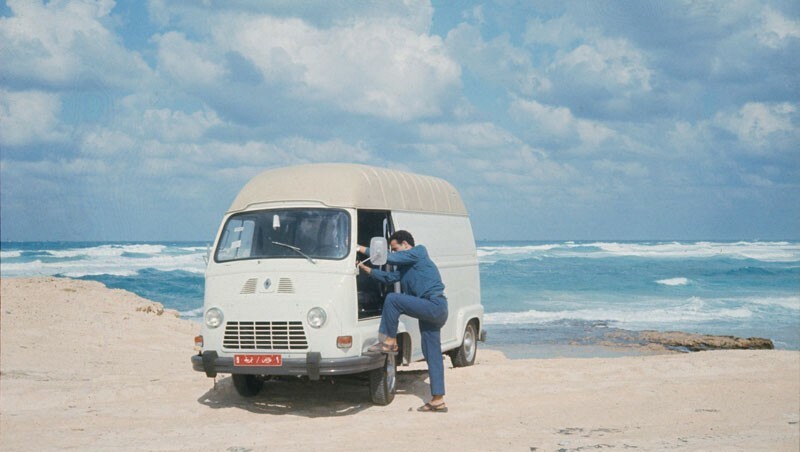 The Renault Estafette finally made its exit from the Renault catalogue in 1980, giving way to another success story: Trafic, which has already clocked up sales of more than 1.6 million units worldwide.